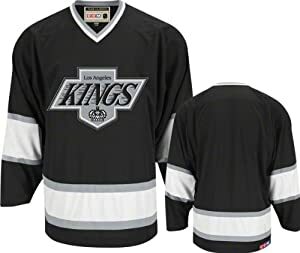 Get in the game this season with this Los Angeles Kings Classic Throwback jersey from CCM. It features the classic old school Los Angeles Kings graphics in twill and embroidered on the front chest. You'll be ready to cheer on your team to another win when you sport this jersey.